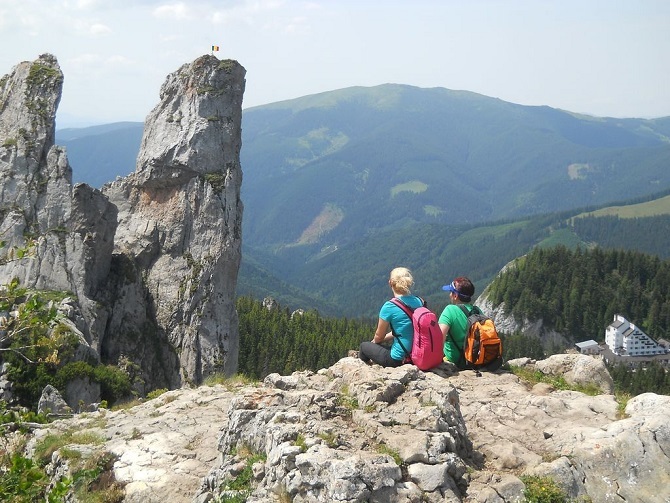 Our outdoor tour is organized in Dorna region, located at border of Bucovina and Transilvania. 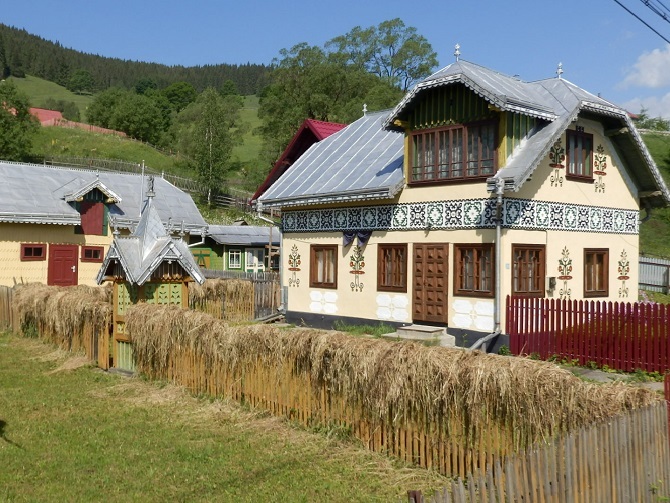 In this day we’ll mix the outdoor activity with visiting of traditional Bucovinean village with painted houses and visit of the painting eggs museum. 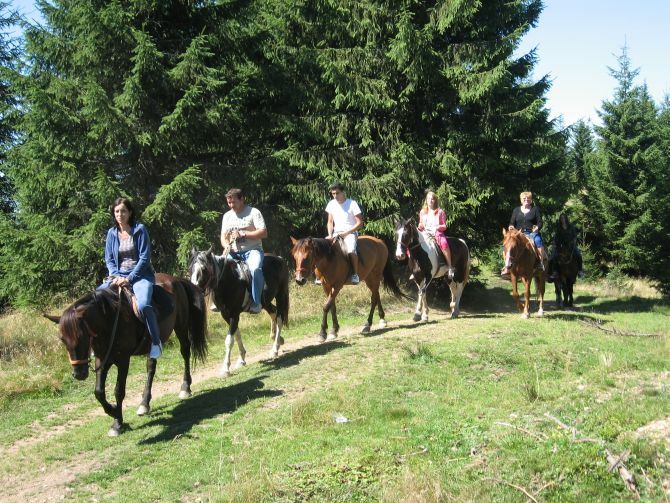 PRICE: 35 Euro / person for group of minimum 4 persons. 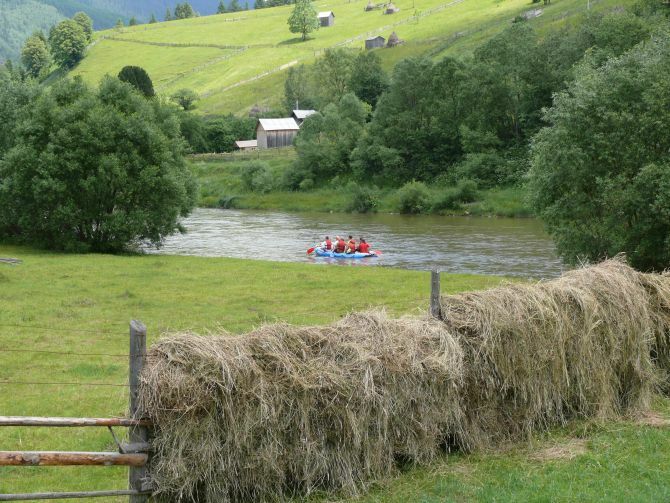 *** Included services: transportation, English guide and activities from A to D.
*** Price does not include: entrance fees to museum, taxes for chairlift, ridding horse, rafting and lunch. *** Tour duration: aprox 8-10 hours. *** For less than 4 persons and customized trip, please contact us! A. Vatra Dornei town – SPA and ski resort. Over 100 years ago, the novelist Bram Stoker referred to the region around Dorna as “one of the wildest and least-known portions of Europe”. This is still true today. 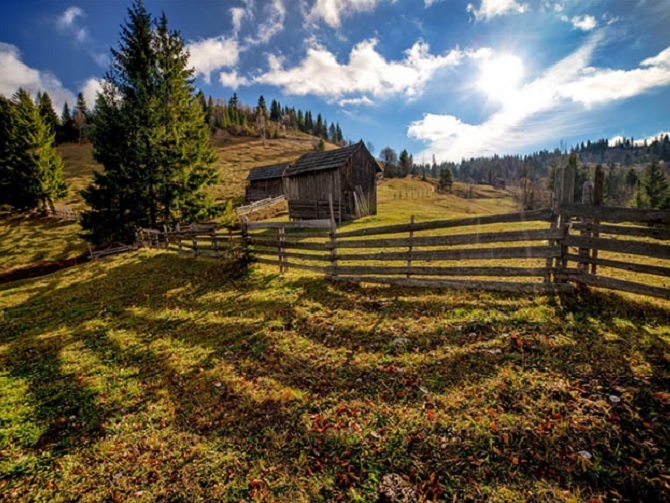 As one of the most heavily forested region of Europe, Dorna is a nature lover’s paradise, and shelters one of the largest concentrations of large fauna on the continent. In this charming town we can enjoy for a traditional lunch and we can have a relaxing walking in park, where the squirrels will be happy to take nuts from your hand. Optional from here we can take a chair-lift 20min/one way ride and to enjoy of the mountains panoramic view. Upon request we can drive 30 min to Tihuta/Borgo pass to visit Hotel Castle Dracula - Chamber of Dracula, this is the real place mentioned by Bram stocker in his novel Dracula, see more details. B. Ciocanesti is a village with painted houses and all together forming a genuine outdoor museum. 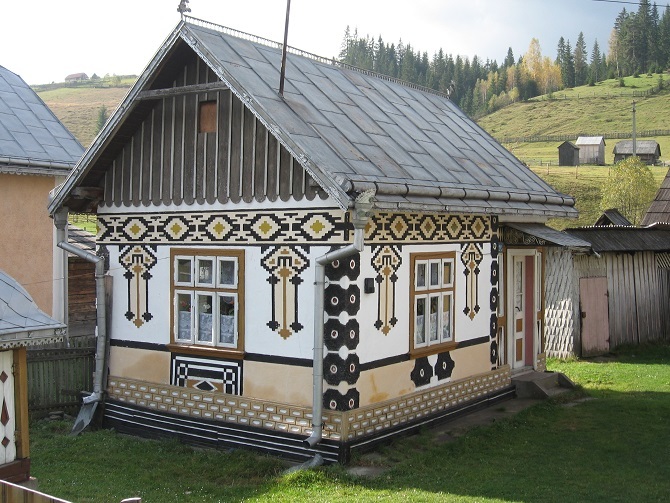 The walls of each of them wears traditional motifs of the kind that we find on traditional costumes and on painted eggs in an array of shapes and colors. C. Vama painting eggs museum. 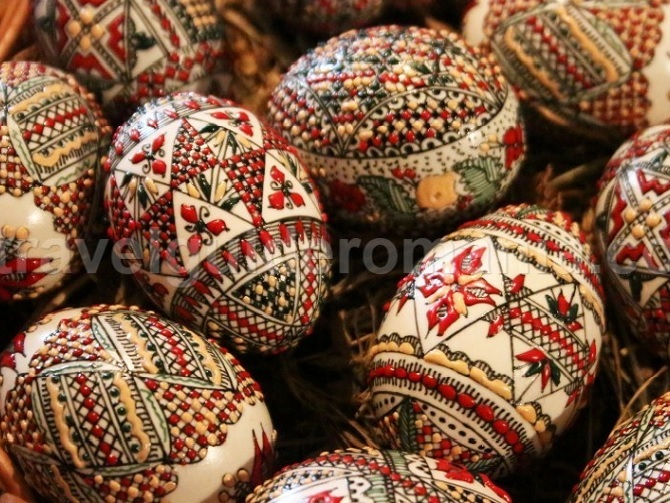 Decorated eggs is an old Easter tradition that was developed on Romanian soil with great craftsmanship. 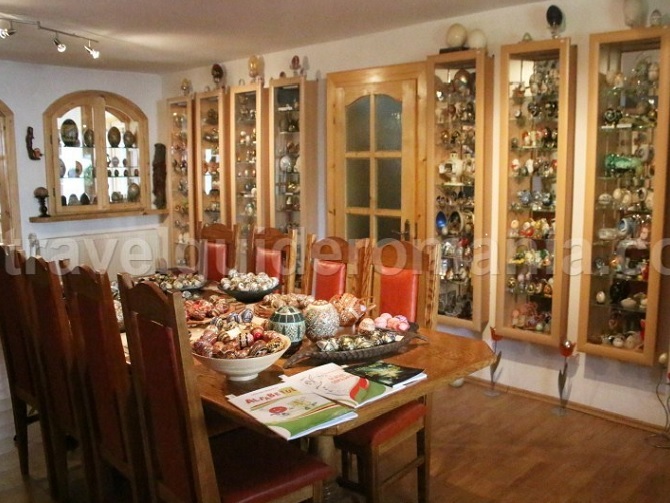 In the museum there are over 7.000 eggs from all over the world displayed in 22 showcases; there you can admire eggs collected from international exhibitions and eggs from Bukovina with unique, old motifs and patterns inherited from our great-grandparents. D. Hiking in Rarau mountains to the Lady’s Stones, consisting of three towers, about 70 meters high, the highest being 1,634 meters altitude. 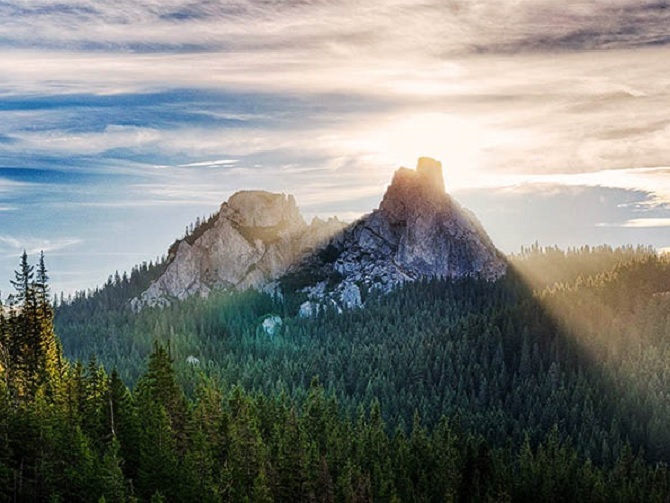 The Lady’s Stones (Pietrele Doamnei) represent one of the most impressive natural tourist attractions. 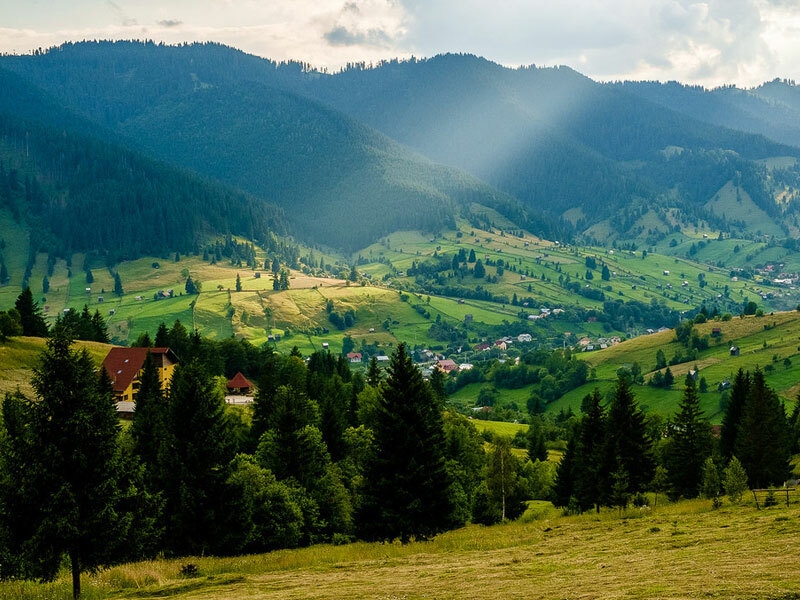 It is said that during a Tartar invasion, Petru Rares the ruler took his family and part of his fortune in the mountains, to protect them from the invaders. It is said that big rocks came off from the sky, falling over the place where the treasure was hidden. Lady Elena and her son got away alive, but from then forth the place got the name of the Lady’s Stones. 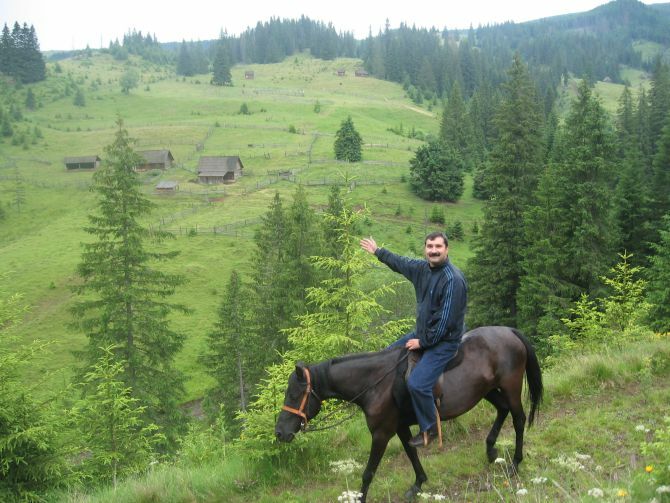 E. Ridding horses on mountains. Price = 25 euro/person/2 hours or 15 euro/45 minutes. 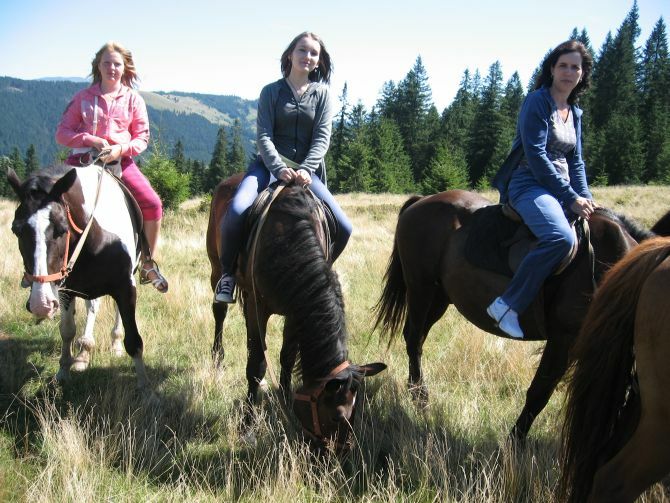 Our professional guide will give beginners a short riding lesson. Do not worry: all horses are well trained and well-behaved, so you will be as safe in the saddle as you are on your living-room sofa! 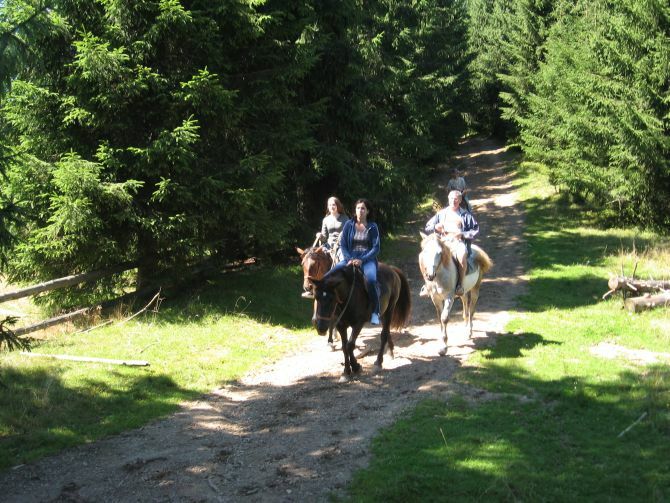 The horseback riding will take two hours, during which we will admire the beauty of the mountains, forests and meadows filled with wild flowers and blueberries. 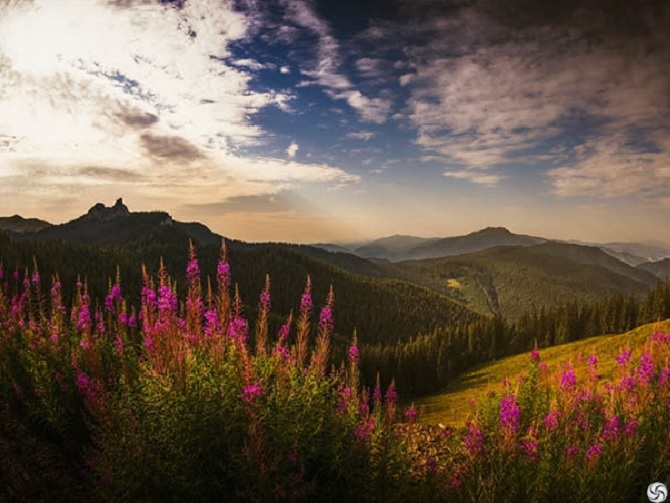 However, it is recommended that you wear clothes suitable for the fast-changing climate in the mountains. 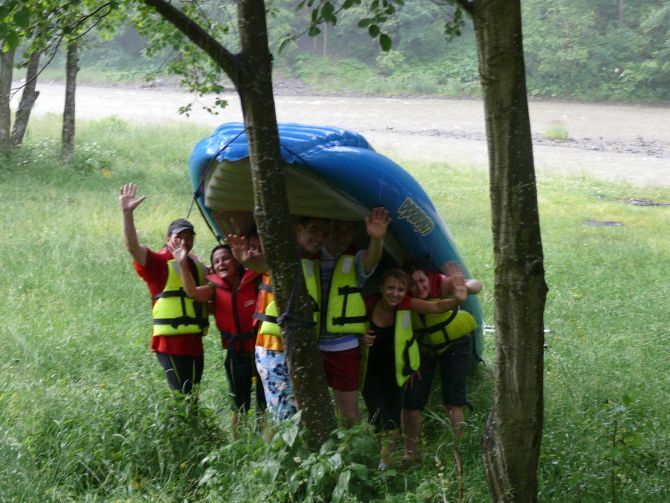 F. Easy rafting on Bistrita river. 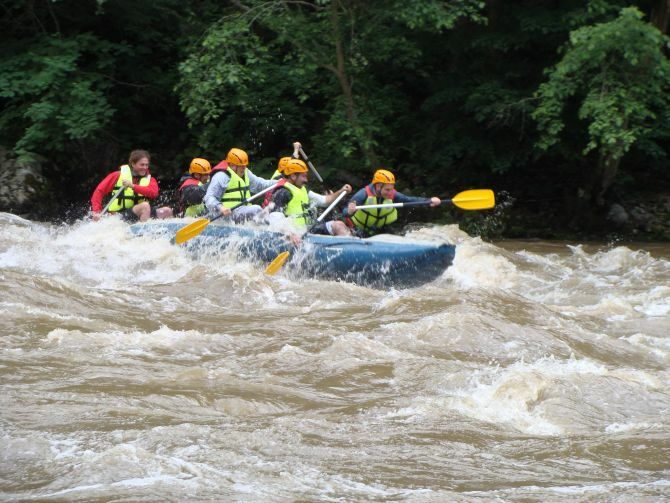 Price = 25 euro/person.We will go down to the banks of the Bistrita River, where we will have a training lesson and will gear up for a different kind of adventure, this time down the river. We will spend about 45 minutes admiring a magnificent gorge. 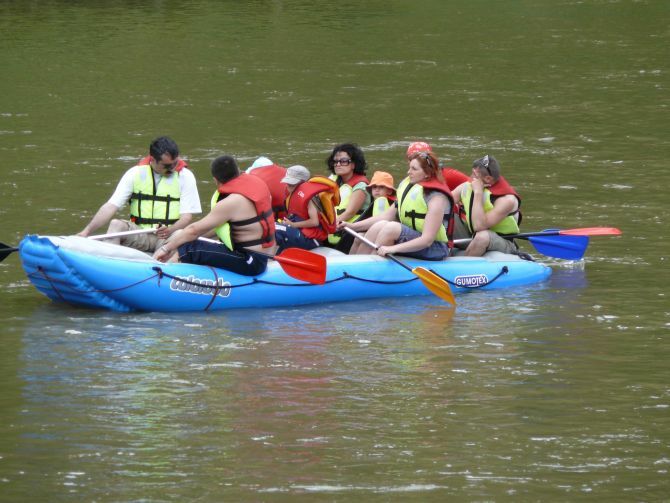 The untamed beauty of the river will truly take your breath away. 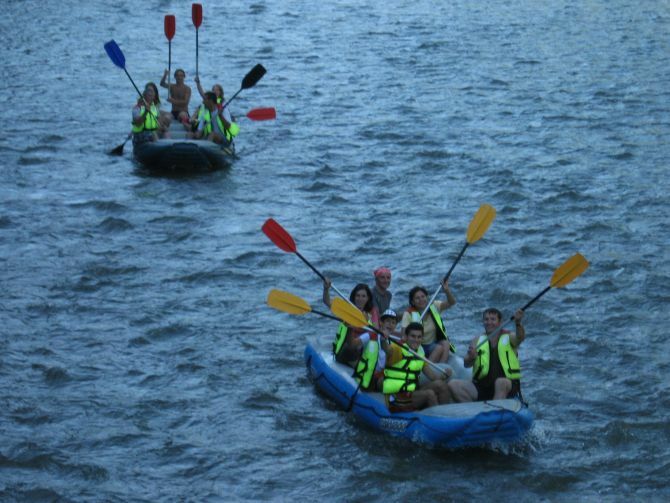 The rafting trip is not dangerous, is just an easy boat ride to admire the nature from river side! If you are still undecided, maybe the following photos from the gallery will convince you that deserve to enjoy this trip. We’ll be waiting for you!